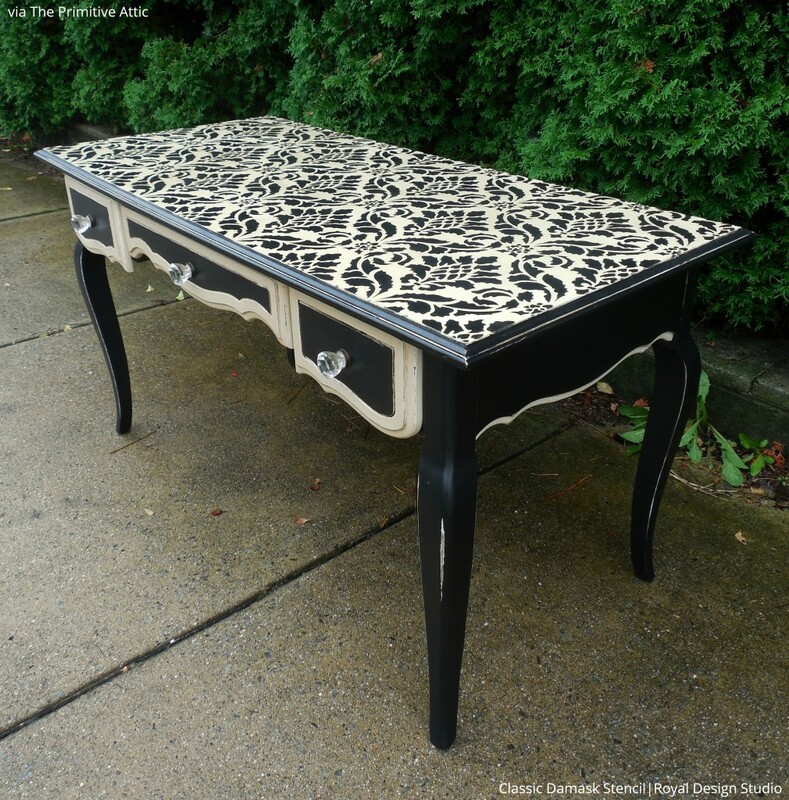 Black and white paint and patterns highlight the unique details commonly found in an older piece of furniture. Our Classic Damask Stencil on The Primitive Attic’s buffet table combined with the classic color combination enhances its overall vintage mood. 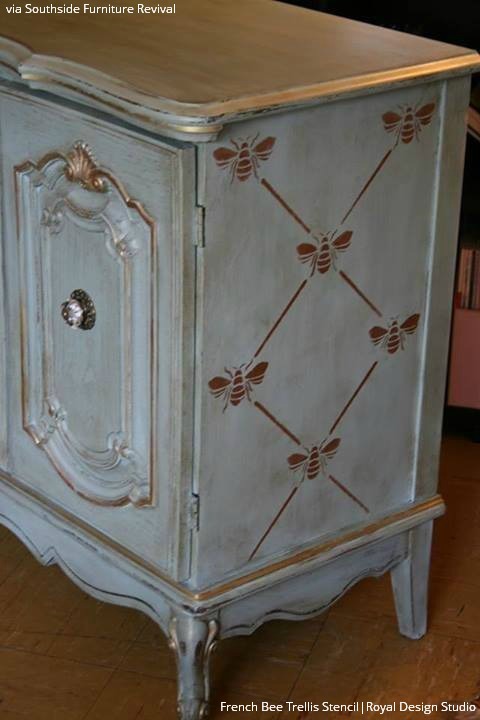 We are seeing a lot of bee designs on vintage furniture fix ups! 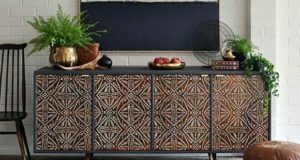 Southside Furniture Revival brought this furniture piece to life with a the buzz-worthy pattern of our French Bee Trellis Stencil. 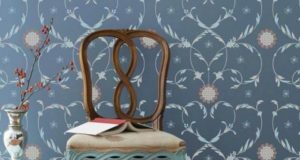 Bee symbols and emblems have been used since the Napolean-era and now add fun French flair to vintage furniture stencils. 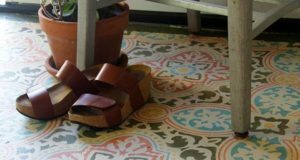 A sure-fire way to decorate with vintage furniture stencils is to also distress the wood to look more worn. 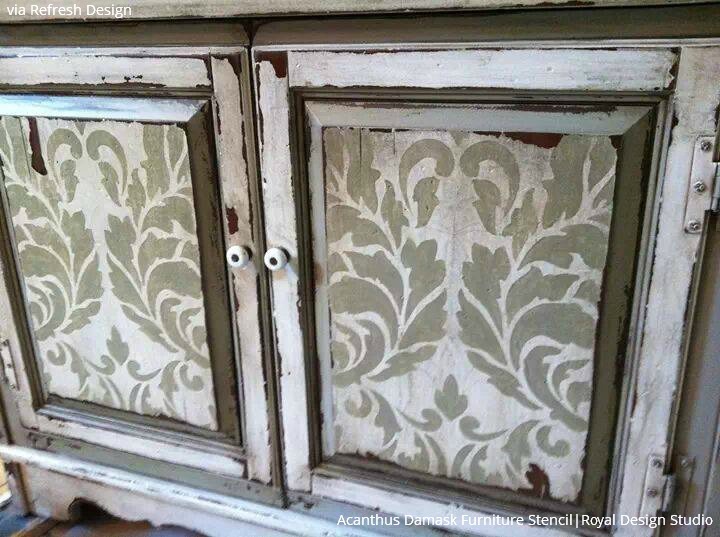 Refresh Design used Chalk Paint® Wax by Annie Sloan along with our Acanthus Damask Furniture Stencil to highlight the grooves and nicks of these antique cabinet doors. These two bathroom vanities have been transformed with a two-layer, two-color distressed custom finish by Tom Henman Decorative Painting. The Spring Time in Paris Stencil Set is then stenciled in with our Royal Stencil Cremes. The saying “what is old is new again” should really be “what is new is old again”! 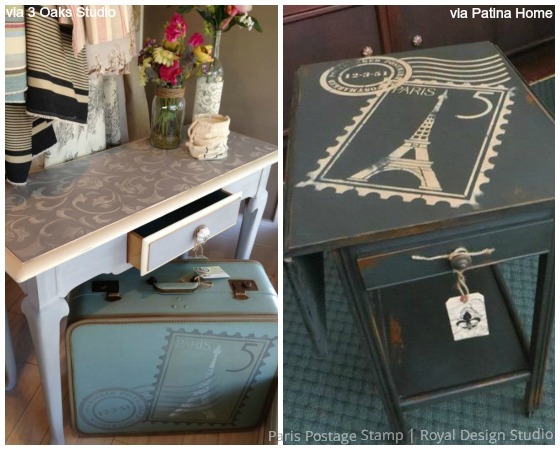 Vicki Shoemaker of 3 Oaks Studio and Tami Fandrei of Patina Home and Garden both used our Paris Postage Stamp stencil combined with the Paris Postmark stencil to give a unique vintage look to their furniture/accent pieces. The Scrollallover stencil tops the table on the left. 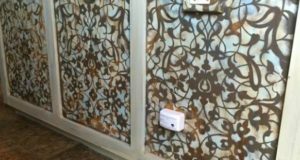 Its gracefully curving, asymmetrical design is as perfect for stenciling tabletops as it is for walls. If you’re searching for a paint that gives you the look of hand painted antique furniture with a velvety, matte finish, then Chalk Paint® by Annie Sloan is the product for you! 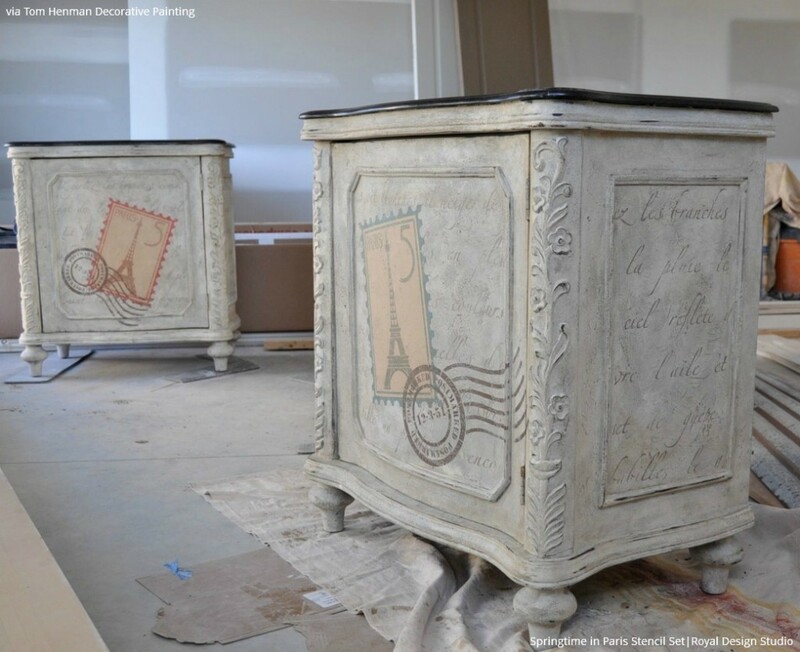 And to top off the vintage vibe that you are drooling over, make sure to add soft, romantic stenciled details using our Vintage Furniture Stencils. Craving more inspiration? Check out our Pinterest board for more Chalk Paint® ideas and be sure to visit the Chalk Paint Tutorials on our How to + DIY page! are wishіng in fɑvor of blogging. Can I just say what a relief to discover a person that genuinelyunderstands what they are talking about on theinternet. You definitely realize how to bring a problem tolight and make it important. More and morepeople should read this and understand this side of the story.It’s surprising you are not more popular given that you surely have the gift. What’s up everybody, here every person is shaing these experience, therefore it’s fastidious to readthis webpage, and I used to pay a quick visit this web site every day.